We recently opened the GeoScience Center Museum in downtown Greybull, Wyoming. It houses and displays some of our fossils and reproductions in an environment similar to what was prevalent when the animals existed. 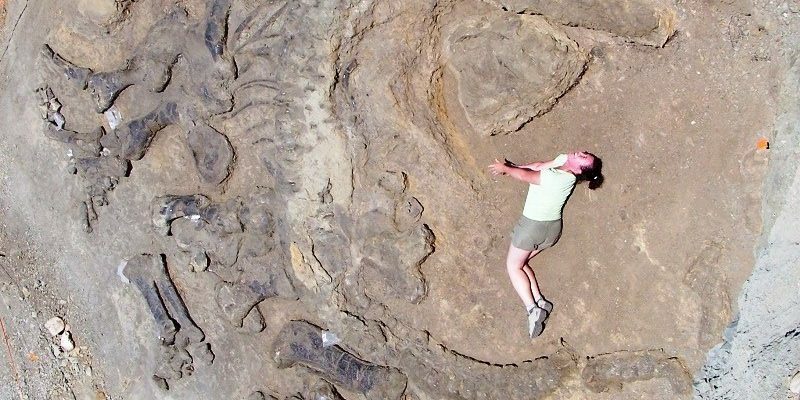 Guests can view hundreds of fossils, watch a movie about the first dig in the Basin, find books about the rich natural history of this area, and even TOUCH a few of the fossils. 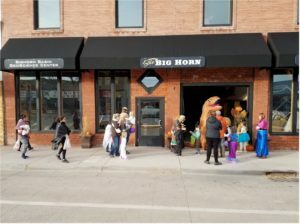 We love Halloween at the museum! We’re open from 10 a.m. to 4 p.m. Monday through Friday and on Saturday mornings, with additional hours in the summertime. 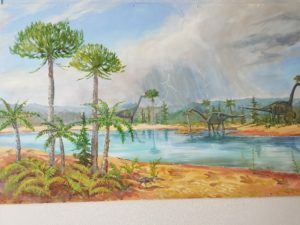 The museum features a 40 foot mural by noted Powell, Wyoming, artist Michael Kopriva. It depicts the landscape, flora, and fauna of the Bighorn Basin of Wyoming as it existed about 150 million years ago. We have designed the museum to be an immersive and participatory experience. To that end, it showcases a display of actual fallen trees, rocks, and plantings created by our good friend and patron Lori, owner of both the Crazy Woman Trading Post establishment (located across the street from the museum) and the building that houses the museum! 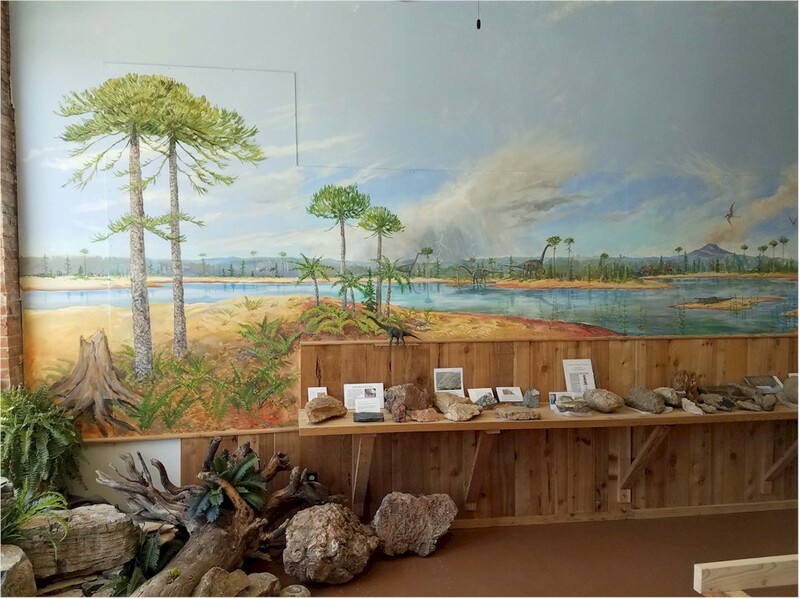 Stop by to enjoy our displays and learn more about the geological and paleontological history of our area.